Some of the accommodation options offered by Fuerte Hoteles are Holiday Apartments, for any visitors who want a bit more privacy and independence. 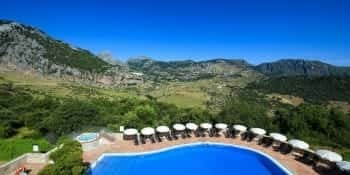 Fuerte Hoteles offers luxury holiday apartments in the province of Málaga, from where you can enjoy all the best features of a Costa del Sol holiday with the creature comforts you’d expect to find in your own home. The apartments are modern and fully equipped lodgings, decorated to high standards, designed to make sure you’re pampered during your stay. They also hold TripAdvisor’s Certificate of Excellence. 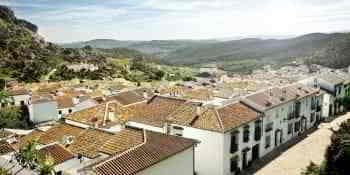 Located in the Costa del Sol towns of Torrox Costa (Nerja) and Estepona, they are just short distances away from all of the province’s main areas of interest; Sierra de las Nieves, El Chorro and the Nerja Caves are just short drives away, along with a plethora of fantastic sightseeing, natural and cultural routes that together represent a unique opportunity for enjoyment and wellbeing. 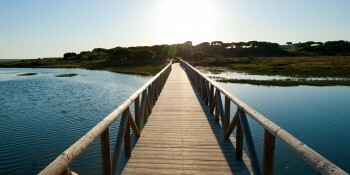 If you want your stay to be a bit more active, you can also enjoy activities such as golf, fishing, cycling and trekking, handicrafts and gastronomy. The region also has a busy cultural schedule, and the area’s beaches are truly exceptional. 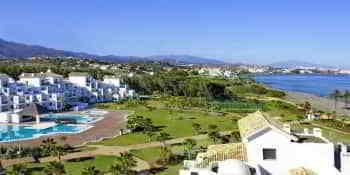 Málaga’s Pablo Ruiz Picasso Airport is 50 km away from this accommodation if you stay in Torrox Costa, and 80 km if you stay in Estepona. The cities of Granada and Córdoba are 1½ hours away, and Seville is 2 hours away. The journey to Madrid takes 2½ hours in high speed train from Málaga’s María Zambrano railway station. 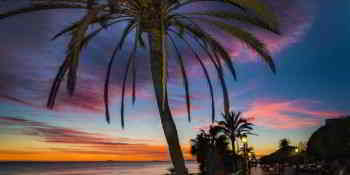 Come to the Costa del Sol and stay at either of our holiday apartment complexes to feel right at home. The best way to enjoy your visit to the Costa del Sol.